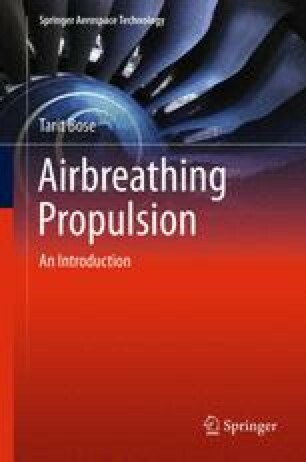 While single- and multiple-stage centrifugal compressors are used exclusively for terrestrial applications, since per stage, a centrifugal compressor gives a much higher compression ratio, they have not been used for aircraft applications, except in small engines, such as the old Goblin or the Rolls-Royce DART turboprop engine for the Avro-748 aircraft; in the latter, a two-stage centrifugal compressor is used. There are several reasons for the infrequent use of centrifugal compressors over axial compressors: (a) Centrifugal compressors have a slightly lower efficiency than axial compressors; (b) centrifugal compressors have a much smaller air throughput over axial compressors, and they also have a very large frontal area, giving a large drag. However, the centrifugal compressor rotors are structurally much more robust and can be built, especially for terrestrial applications, by simple welding of the blades and by using materials like plastics for applications with hazardous gases.